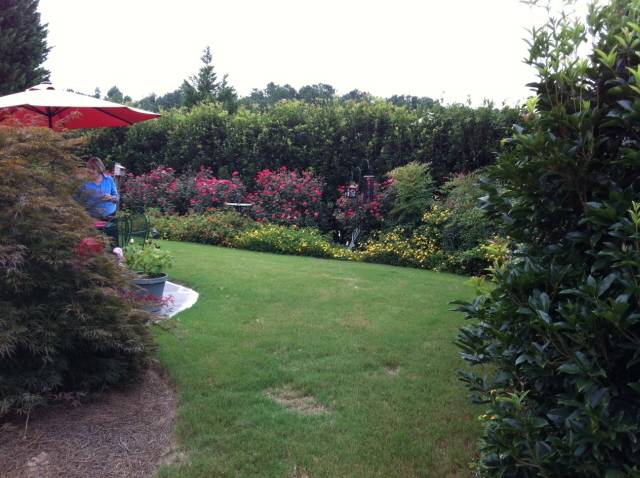 A Small, Private Back Yard With Tea Olive and Roses – Johntheplantman's stories, musings, and gardening. I often refer to landscaping as a four-dimensional art form. When questioned about this observation, I reply that “the fourth dimension of the art form is time. The landscape planting is an ever-changing entity.” For this reason I never know what I will see when I walk into a yard several years after its installation. 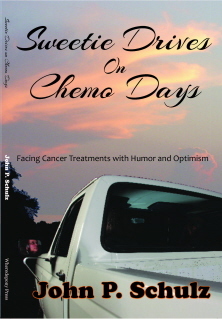 The site may meet my expectations, exceed them, or in a few cases it may be a dismal failure. Helen and Jack Runninger had invited Dekie and me over for a Friday night pizza dinner. Our delightful friend Ginger Grant was also invited. I was looking forward to seeing our friends as well as being curious about the fate of the privacy back yard that I had put together four or five years earlier. I was pleasantly surprised. The garden truly exceeded my expectations. A privacy wall with tea olive, Knockout roses, and lantana. Jack and Helen got married later in life—much later. They sensibly downsized their living accommodations by moving to a very nice retirement community with one level floor plans and small yards. If I recall correctly, Jack was head over heels in love and gave Helen a johntheplantman back yard as a housewarming gift. I started by laying a slate patio with stone that had been donated by one of Helen’s friends. 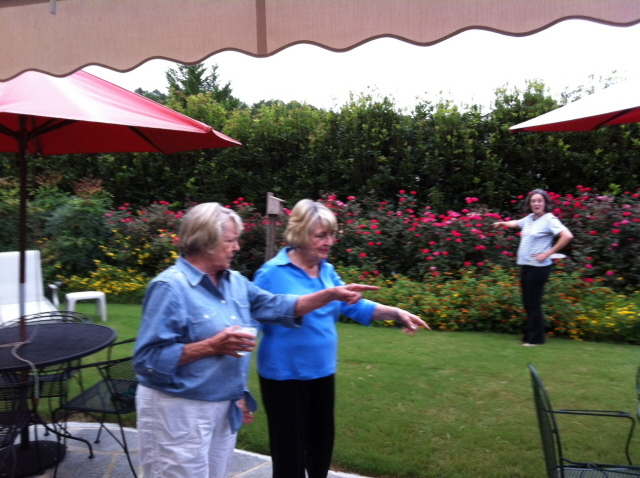 When the patio was finished we pulled up chairs, looked around, and discussed the rest of the back yard planting. There was no privacy. To the left was a very nice yard with flower beds but no real privacy. To the right we could see yard after yard after yard. The ugly part, though, was the rear border of Jack and Helen’s yard. There was a hill-or a large terrace- that went down into the yard behind them and the house at the bottom of the hill was situated so that from the Runninger’s new patio, all one could see was an ugly roof. I thought long and hard about the design. It had to be beautiful, effective, and low maintenance. I had to put in some complicated drainage and then a raised bed with some good compost. I planted tea olives on the back property line for a high evergreen screen. (The tea olives were about three feet high when I planted them.) 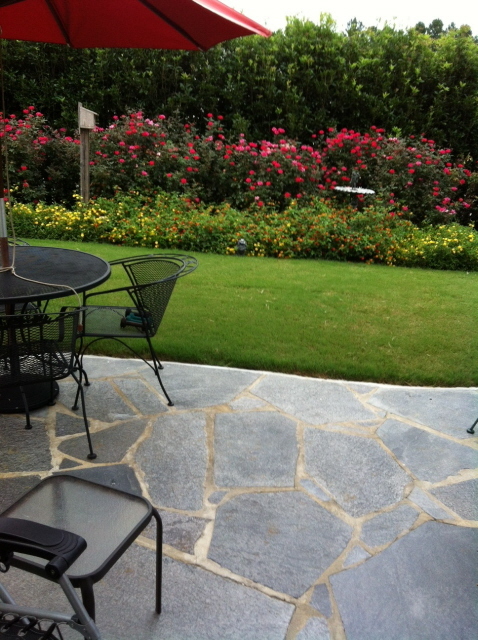 I put Knockout roses to the front of the tea olives and prepared a raised flower bed in front of the roses. The first year of the flower bed we had pansies but the deer and rabbits brought their own salad dressing to that feast. 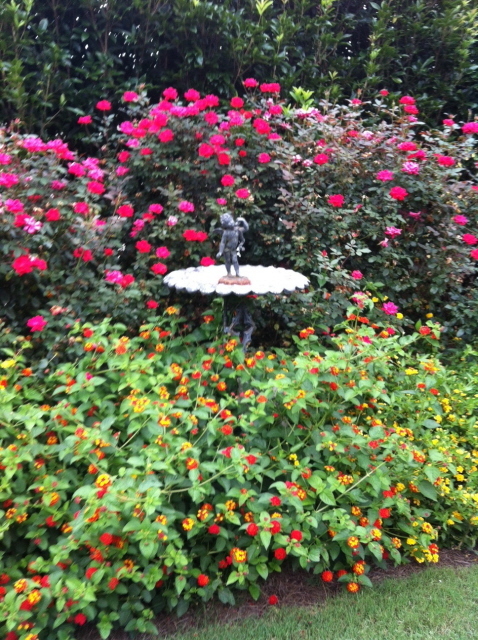 The following summer we planted lantana and Helen said that the lantana come back reliably year after year. 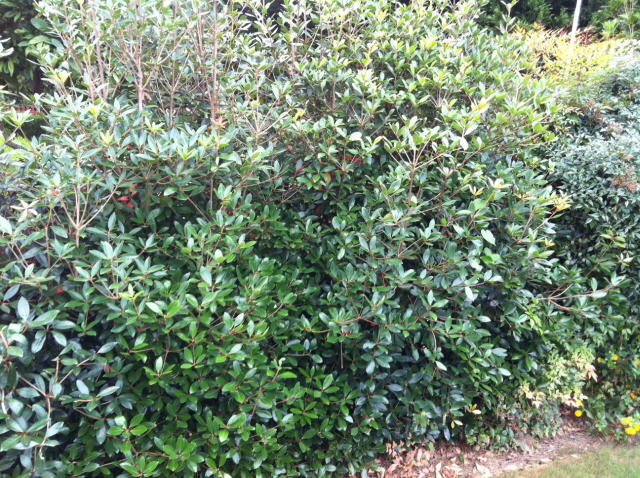 I used Cleyera japonica for the side yards with a few nandinas thrown in for texture, color, and winter berries. I liked the way the cleyera had grown in. Cleyera as a screen. It’s hard to believe there’s another house 10 feet behind this. Back to the present, we ate dinner on the patio and everyone remarked about the lack of mosquitoes. Helen said that she thought it was because of the birds—especially the hummingbirds. 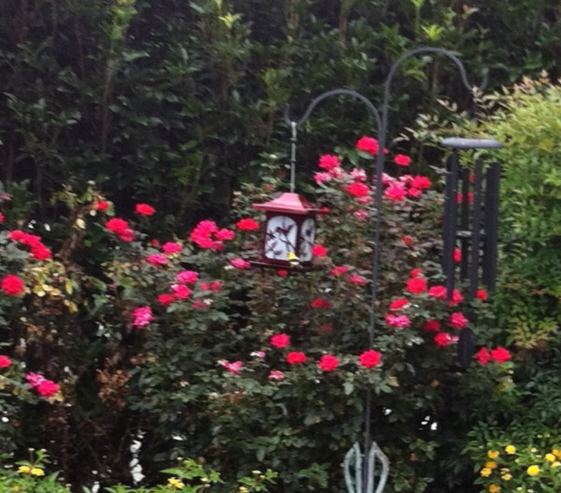 It seems that the colors and fragrances of the garden attract the birds. The tea olives bloom two or three times a year and provide a true olfactory treat. And that’s the story of the Runninger’s private back yard. Sweet Helen just raves over it. 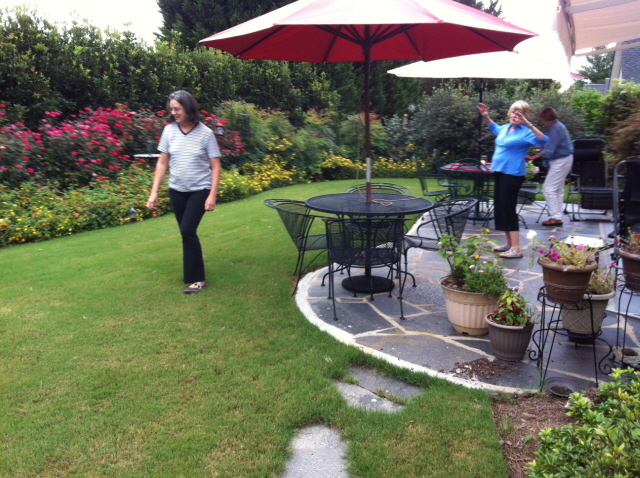 Helen Runninger raves on and on about her beautiful back yard. I love the Runningers back yard! Way to go John…another homerun!!! Lovely setting–attractive and effective plantings. This is beautiful! Makes me wish I had a green thumb, as well as a capacity for being outside other than in the dead of winter. If this were my backyard, I still might have to view it from a window, but I’d view it lovingly every day!